A healthier, whiter smile makes you more attractive. Without recognizing it, we glance at people’s mouths as they talk. Our brains use these glances to pick up on subtle clues about their mood. If someone isn’t willing to put forth a full, cheerful grin during the conversation, this signals he or she is probably not interested in continuing the conversation. It’s deep seated in human nature to look for a smile—or at least some facial change. A smile conveys confidence and professionalism,” says Lily T. Garcia, DDS, a past president of the American College of Prosthodontists. The color and the positioning of your teeth play a role in how wide you smile, and what’s seen on the other end of that smile. ~A half smile that doesn’t show your teeth can indicate that you aren’t comfortable with your mouth, or you aren’t comfortable with the person you are meeting with. ~A full smile, bright, white, and happy shows poise and professionalism no matter the situation. It eases tension, and facilitates the flow of conversation. Are you willing to use your smile for everything you do? Need your smile to do more? We’ve come up with a few ways to keep your smile dazzling and healthy. 1. Brush. Floss. Brush again. But seriously, brush two (or three) times daily and floss—every day. Broken record anyone? All delish. All stain offenders. Drink and eat in moderation, and brush or rinse immediately after consumption. Commercial whitening products such as strips, toothpaste, gel strips, and rinses probably won’t achieve your desired whitening results. However, used as directed after a professional teeth whitening treatment, these products can help prevent new stains and keep your smile white longer. Keeping your teeth white is yet another reason not to smoke—did you really need one more? Nicotine will stain your teeth. In addition to being a contributing factor in other health conditions and frankly, gross. Looking for resources to help you quit? 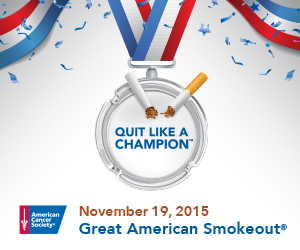 This Thursday, Nov. 19 is the Great American Smokeout sponsored by the American Cancer Society. Join millions of Americans who’ve quit smoking. 5. Make time for us. Have you been in for your six-month checkup? We miss you. Book your appointment today. Whether you grind in your sleep, or you clench your teeth when you’re awake, grinding causes excessive teeth wear and chipped teeth. Implementing stress management techniques can keep you from clenching. 7. Is it time for a renovation? Your smile may need a makeover. Fillings and crowns can eventually wear out. Gaps, missing teeth, cracked teeth, all detract from your smile. 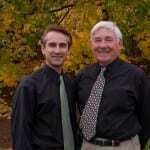 Your pearly whites affect how others see you, whether it’s on a date, interviewing for a job, or taking a family photo.